Drummond Park Pre-School, “the little pre-school shaping big futures”, opened its doors in 1971 after an enterprising group of families who had been meeting for playgroup at the University of New England applied for an allocation of crown land and were granted the use of the current Carey Avenue site. 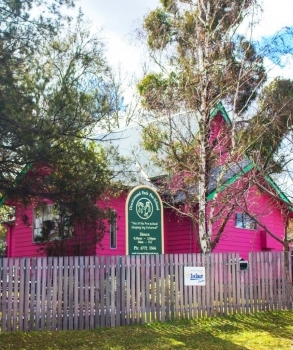 Tender documents from the time show that the Drummond Park Playgroup Association, as it was then called, paid $112 for the old St Mark’s Chapel building, and allowed a further $1,200 for its relocation and fit-out as a pre-school! The converted chapel, with its distinctive pink colouring, remains the home of the pre-school and the pocket of crown land has developed into a beautiful playground. Major renovation works to both building and grounds were completed in 2012.